In a previous post, I outlined how to configure Data Loss Prevention (DLP) for Office 365. 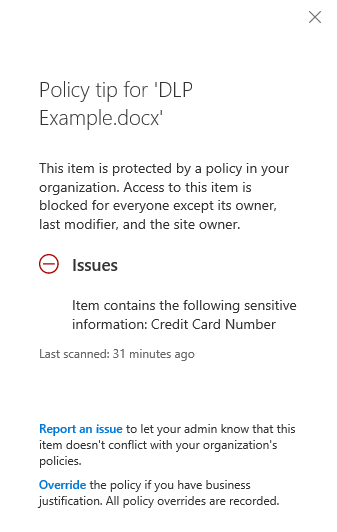 This post will provide examples on how these are displayed throughout your Office 365 experience. With Email notifications, you can either notify the user involved with the content that caused the policy to be invoked, notify owners or notify specific people. 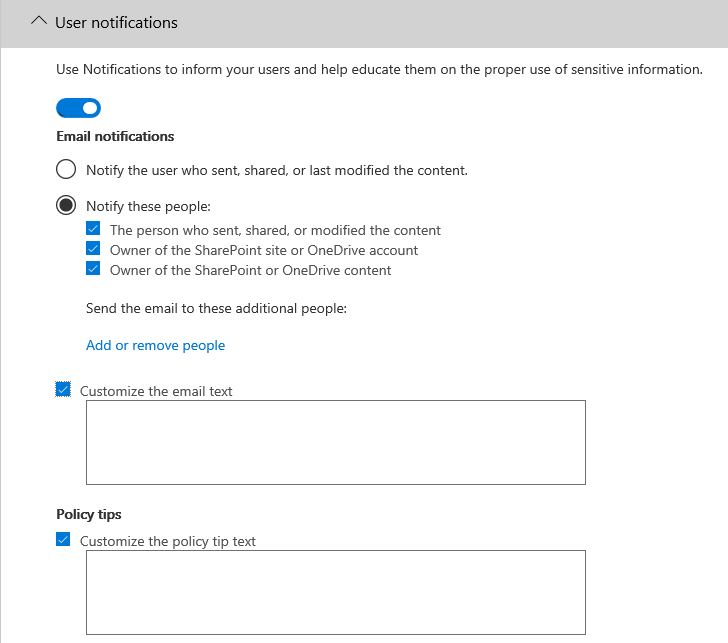 For both Email notifications and Policy tips, you have the ability to use default text given by Microsoft or customize it to fit your needs. When DLP is configured to work for Exchange email, you have the capability to have it configured to send email notifications when sensitive data is found. An example is below. 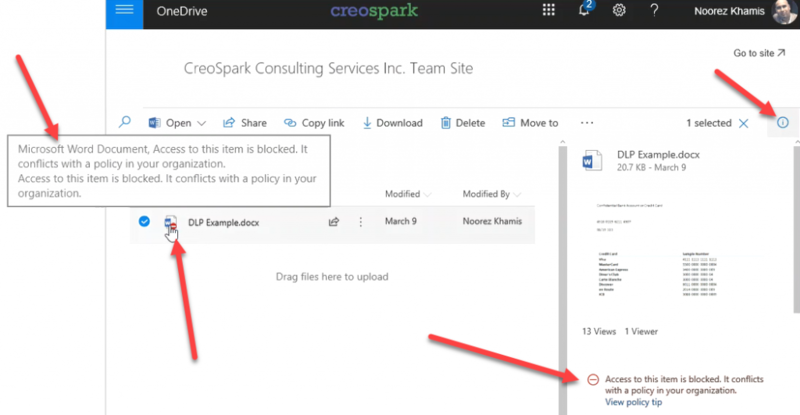 Policy Tips are also available in the Microsoft Office client experience as well as the sharing experience. I will update this post with screenshots of those soon. 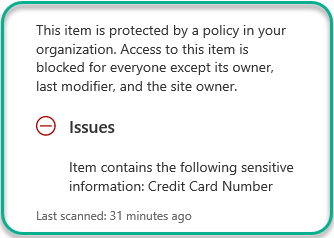 SharePoint Online Websites in Office 365 are being deleted on March 31st – Act immediately if you have any!